In 2009 my friends and I created an OHG high school community service group that we called Teens For Our Planet (TFOP). We wanted getting all of our service hours to be fun, so we got together and planned projects to do as a group. We did various different types of activities during the three years I was involved. 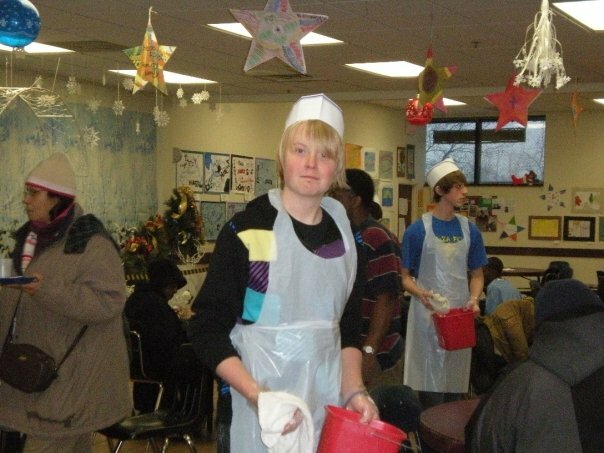 Here is a picture of my me and my friend Brandon bussing tables at the Capuchin Soup Kitchen in Detroit in 2009. The soup kitchen serves three meals a day, 365 days a year, and has fed tens-of-thousands of hungry people. In 2010, we combined TFOP with the OHG Music Club to put together a small concert that we performed at an assisted living center. 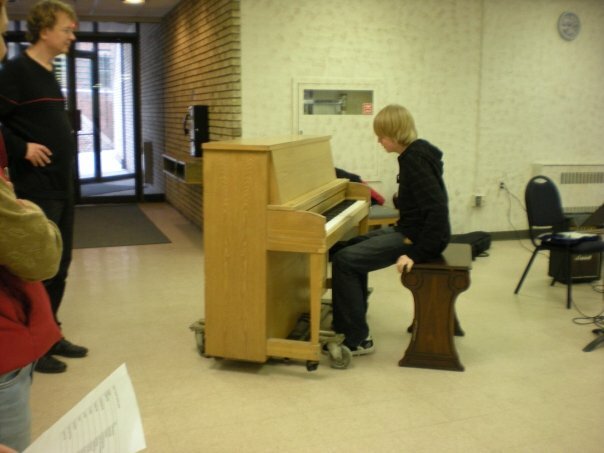 I played songs with the music club and also played a piano solo. Here is a picture of me preparing to perform my solo during the concert. 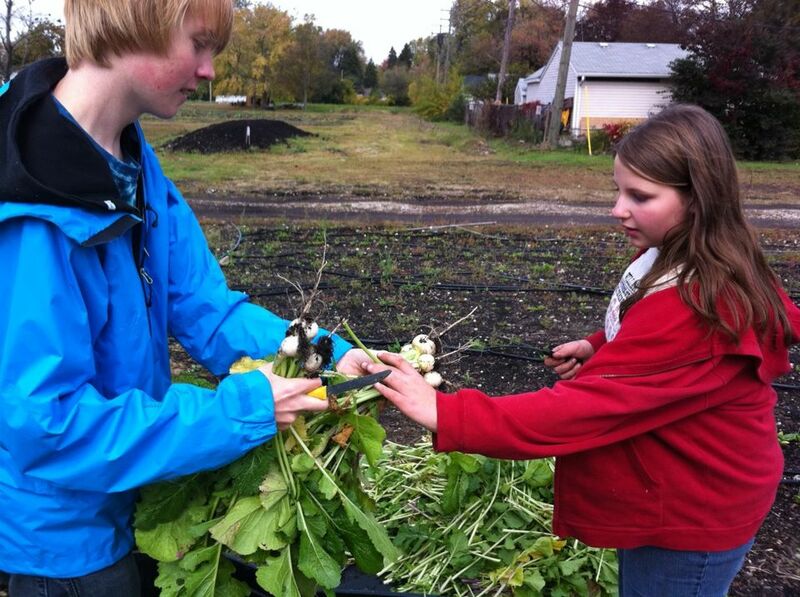 Here, below, is a picture of me and Haley volunteering at the Royal Oak Community Farm in 2011. We learned how to harvest turnips and spent the afternoon gathering and storing them. The group also did the following projects multiple times: volunteering at Gleaners Food Bank, making bag lunches for a homeless shelter, cleaning up litter on Belle Isle, and running canned food drives. I also did community service on my own and with my church youth group.